Green roofs are sprouting across North America. Designed to curb air pollution, decrease energy expenses and reduce storm runoff, the environmentally friendly assemblies are adding a decidedly earthy element to urban skylines. 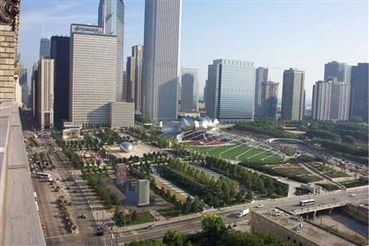 Chicago has become the second greenest city in the country! This since so many people died back in the '90's in a heat wave. They not only have garden roofs on all new buildings, but there are cooling centers where citizens can go to cool off during the summer.